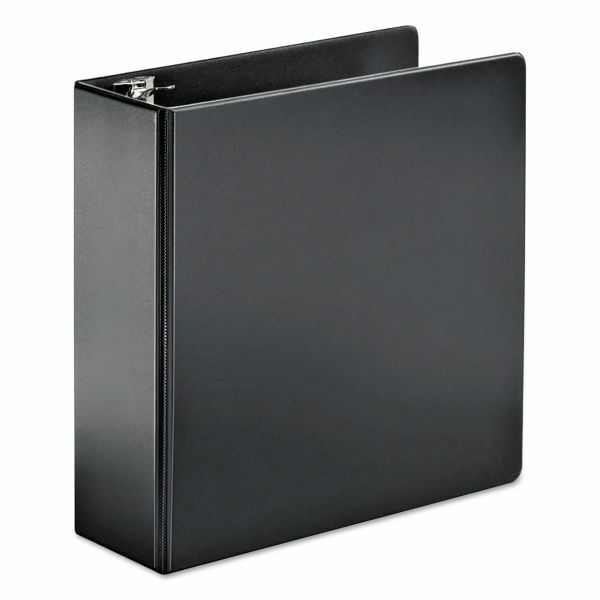 XtraLife® cover hinges with BlindEdge™ welds. 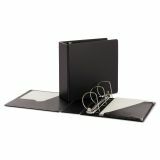 Cardinal SuperStrength Locking 3-Ring Binder, 4" Capacity, Slant-D Ring, Black - Slant-D Locking Ring Binder holds 50 percent more paper than standard round ring binders. 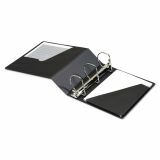 Includes a locking ring mechanism and unique Expand-A-Pocket for catalogs or brochures. 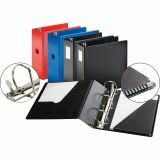 Thick, durable vinyl cover with patented XtraLife Hinge, BlindEdge Weld and DataGuard Pocket to prevent papers from folding. Sheet lifters included. 5" capacity has easy pull finger hole. Contains 45 percent recycled content.